A couple of others that used to be in the power ranks back in the day and may at least get a date card (Temple and SMU). It’s unclear whether Memphis has survived (my gut feeling is that they’re still alive), but if they move on to the next round, it’s because they’re a contender with loaded parents that are willing to buy their way to the final rose ceremony. East Carolina – In Bachelor terms, ECU is the candidate that all of the other contestants seem to like but The Bachelor has no interest in at all. Under my conference realignment maxim (“Think like a university president and NOT like a sports fan”), ECU is a classic sports fan thinker’s choice. Fans see that ECU has excellent football attendance with a core group of passionate backers and a typically competitive on-the-field football team. University presidents, though, see a school that doesn’t fit the applicable academic profile and is located in a small market in what is already the most over-saturated state in the country for power conference sports (North Carolina). The Pirates had to give it the old college try to apply for Big 12 expansion in order to provide their fans some hope, but I doubt anyone at the school realistically believed that the Big 12 was actually going to call them up. Boise State – If ECU is a candidate that other contestants seemed to like, then Boise State is the audience favorite that was eliminated early and would be in line to be named “The Bachelorette”. There might be no better example of a “Fan’s Choice” that conflicts with the “University President’s Choice” in conference realignment than Boise State. The on-the-field performance of the Broncos for the past decade speaks for itself for fans, but the university presidents still see a lack of an institutional and academic fit in a small TV market. The primary reason why Boise State was considered at all is that they arguably have the most valuable national TV brand out of any non-power conference school. However, the off-the-field academic reputation is still a killer (both with the Big 12 here and the Pac-12 in the future). San Diego State – The Aztecs could look good on paper for the Big 12, but if UConn already lives pretty far from The Bachelor, then San Diego State is effectively on another planet. In my Big 12 Expansion Index post, I gave SDSU some high marks since it was an evaluation that largely discounted geographic proximity as a factor. However, reality might be setting in here that there needs to be some semblance of geographic proximity in conference realignment. For all of the complaints about the power conferences expanding the geographic boundaries to large distances, the reality is that every power conference move made since 2010 was with a school in a state that was geographically contiguous to the then-existing league footprint, as applicable… with the exception of West Virginia going to the Big 12. It was just difficult to see the Big 12 turning an already bad geographic situation into a comically horrific geographic situation. UNLV – Similar issues here as San Diego State. Now, I’ll say that both the San Diego and Las Vegas markets are still quite ripe for the picking for college sports since they are among the largest TV markets that don’t have legitimate power conference representation. If the Raiders end up moving to Las Vegas (and as much as I don’t want to condone owners holding cities hostage for publicly financed stadiums, anyone without Oakland-tinged glasses can see that Las Vegas and the Raiders are perfect for each other), that could create a state-of-the-art stadium that might be shared with UNLV. At the end of the day, though, the issue for both SDSU and UNLV is that they are not institutionally or academically-aligned with the Pac-12 and their geography with the Big 12 is a problem, so they’re stuck at this time. Improving off-the-field academic items will be much more of a factor for the future conference realignment prospects of San Diego State and UNLV compared to on-the-field football ability. New Mexico – There’s nothing wrong with New Mexico: it’s a solid flagship university in a growing state with a very good basketball fan base that’s contiguous to the existing Big 12 footprint. The issue is that there never seemed to be a spark between UNM and the Big 12 as other candidates seemed to cover the Lobos’ positives just a little bit better. If the Big 12 really wants a basketball-oriented flagship, then UConn has elite programs for both men’s and women’s hoops and is there for the taking. 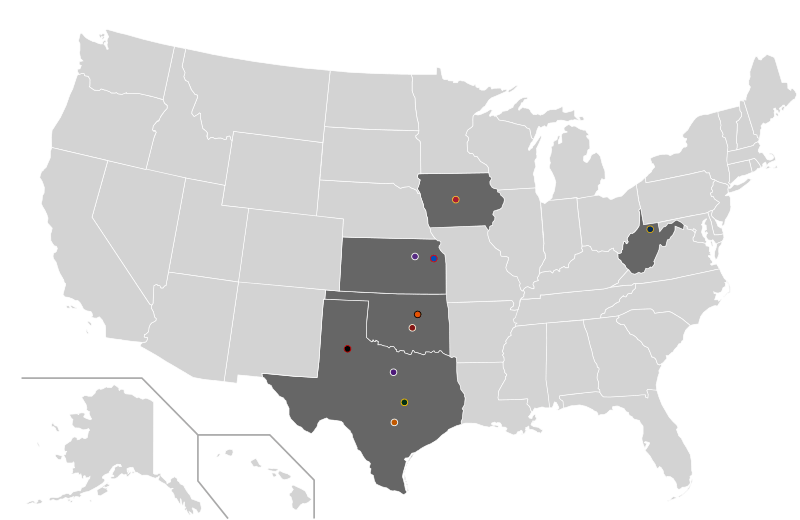 If the Big 12 wants geographic proximity, then there are schools like Houston, Rice, SMU, Tulane and Memphis available. If the Big 12 wants a solid overall school in a new market, then Cincinnati covers even more bases in a larger TV market and recruiting territory. So, New Mexico isn’t the worst option, but it also one of the best options, either. 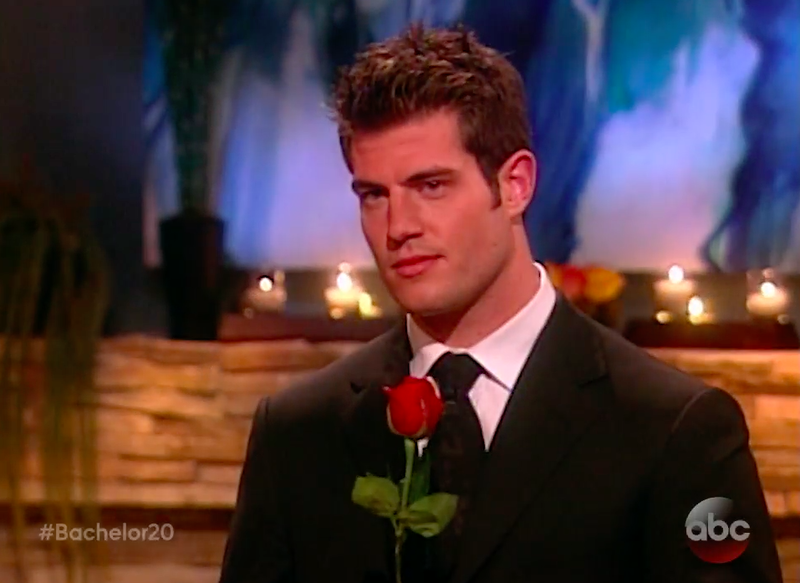 Northern Illinois – There is no more damning charge in The Bachelor when someone is accused of “not being there for the right reasons”. When a contestant is clearly angling for a spot on “The Bachelorette” or “Bachelor in Paradise” or looking for free advertising for a home business, then “The Right Reasons” Police come out. I know that my brain is turning to mush due to an excess of conference realignment Tweets when (a) someone participating on a contrived reality TV dating show believes that they have the moral authority to accuse another of “not being there for the right reasons” and (b) I always totally agree with the accuser. “The Right Reasons” Police are always right. Now, I’m certainly not saying NIU was doing anything nefarious here (and I’ll be upfront and state that NIU is personally my favorite Group of Five school), but let’s face it: the Huskies knew that they weren’t getting a Big 12 invite. Instead, this presentation to the Big 12 was really aimed toward convincing the AAC and/or Mountain West Conference to consider NIU if/when those leagues lose any schools. NIU senses an opportunity to move up the pecking order even if it might be just one rung up from the MAC as opposed to a rocket to the top. Arkansas State – Similar issues here as NIU, where Arkansas State knew that their Big 12 chances were zero but wanted to go through an audition for other conferences (such as the AAC or Conference USA). There could very well be a large shakeup in the Group of Five non-power conferences even if the Big 12 only adds 2 new members and the current Arkansas State home of the Sun Belt Conference is the most vulnerable. Positioning for a potential new home outside of the Sun Belt would be prudent for any member of that league. (1) Politics Matter – Politics, both the procedural kind (politicians trading favors) and the societal issue kind, are no stranger to the history of conference realignment. Just look at how heavily politicians got involved in the original formation of the Big 12 in the 1990s and the ACC expansion of the early-2000s (with a key role played by current Vice Presidential candidate Tim Kaine in leveraging the vote of UVA to get Virginia Tech into the league). As a result, anyone that discounts the open and unambiguous statements from the Governor and Lt. Governor of Texas in support of Houston to the Big 12 ignores them at their own peril. One of the most common comments that I get on Twitter is that the non-Texas-based Big 12 schools don’t want to add another Texas member. My general reply is, “So what? !” There are few complaints that I’ve heard over the years more than the belief that the Big 12 is beholden to UT, yet there is now this argument that the other Big 12 schools will suddenly ignore UT on expansion. That makes zero sense to me. From a pure vote counting perspective, the Big 12 needs 8 schools to approve any expansion and the university presidents at Texas and Texas Tech are already on-the-record of wanting (or needing) to vote for Houston. It’s not exactly a stretch that politicians that have stuck their necks out for Baylor and/or TCU in conference realignment matters previously are going to call in some chits to secure their support for Houston, too. All it takes it one of either Baylor or TCU to bow to political pressure and there is now a Texas-based group that has veto power over all expansion in the Big 12 (similar to how UVA effectively had veto power in the early-2000s ACC expansion process since UNC and Duke had come out as firm votes against any type of expansion). Saying that the Big 12 will expand without the support of Texas is like saying that Donald Trump can win the White House without winning Florida: the electoral math doesn’t work. At the same time, as I explained in my last post, BYU is dealing with rapid changes in society with respect to LGBT rights and pushback against the language in the school’s Honor Code regarding homosexuality. What might have been a socially “acceptable” position in 2010 regarding the treatment of the LGBT community is not necessarily going to be a socially acceptable position in 2016, just as there was a sea change in the public’s viewpoints regarding racial segregation and civil rights from 1960 to 1966. As result, the “religious liberty” argument isn’t going to work for BYU in this context. Instead, the school is going to need to assuage the legitimate practical concerns of the Big 12 presidents regarding any prospect of discrimination against the LGBT community and possibly amend its Honor Code so that it does not specifically reference homosexuality (similar to what Baylor did last year). I have some faith that this would actually occur (and not just because of Big 12 expansion, but simply in response to societal changes in general). The Honor Code is not a set-in-stone document that is mandated by the Bible or Book of Mormon and can certainly be changed to reflect the times while continuing to be consistent with the school’s underlying religious beliefs (similar to adjustments made by a Baptist school like Baylor or many Catholic universities across the country over the years). I’ve said this many times before: on traditional conference realignment metrics, BYU is the most valuable option for the Big 12. However, the political issues matter greatly here and they’re significantly more important today compared to only a few years ago. Of course, the ultimate irony is that the Texas politicians that have openly pushed against gay marriage while trying to defend the ability to discriminate on “religious liberty” grounds are now the same ones that are advocating for Houston going to the Big 12… and the best way for Houston to get into the Big 12 is for BYU to be rejected by Big 12 presidents that don’t buy anti-LGBT discrimination as being justifiable based on “religious liberty” at all. Politics can make for strange bedfellows. (2) Academics Matter – As I’ve noted with some of the fallen candidates above and time and time again, conference realignment decisions are ultimately made by university presidents as opposed to fans, coaches and athletic directors. Those university presidents simply have a different worldview. It’s not just overall academic snobbery. Instead, think of it from the personal incentive perspective of a university president. For a football coach or athletic director to go from, say, Kansas State to Rice, that is generally deemed to be a step down in money and prestige. However, a university president going from Kansas State to Rice (an academically prestigious AAU member) is considered to be a major promotion in the world of academia. Heck, it’s arguably an upgrade for any of the Big 12 university presidents (outside of the University of Texas) to take the same job at Rice or Tulane. Therefore, no one should be surprised that those academically elite schools are still in the process. The Big 12 university presidents are going to be quite nice and cordial in speaking with the respective administrators, board of trustee members and donors at schools like Rice and Tulane since those same presidents might be on the other side of the interview process with those schools looking for a job later on. Meanwhile, the schools that aren’t in a strong position academically have a massive strike against them in the power conference realignment game. The lowest ranked school in the US News national university rankings out of all of the 5 power conferences is West Virginia at #175. Out of the 20 reported Big 12 candidates, 12 schools were ranked higher than WVU (Rice, Tulane, UConn, SMU, BYU, Temple, Colorado State, Cincinnati, San Diego State, USF, and UCF along with Air Force that had scores in the national liberal arts rankings that would put it in the elite category)… and 11 of those schools have moved on in the process (with San Diego State being the only exception). Out of the 8 schools that were ranked lower than WVU (New Mexico, Houston, East Carolina, Memphis, Northern Illinois, UNLV, Boise State and Arkansas State), only Houston is confirmed to have moved on (aided greatly by the political factor in point #1) and the status of Memphis is unclear. That doesn’t mean that the Big 12 is going to expand with Rice and Tulane, but lack of an academic reputation has shown to be a direct elimination factor for all of the power conferences. Great academics might not get a school into a power conference, but poor academics can keep a school out of one. 3. Geography Sort of Matters – As I noted in my comments about San Diego State and UNLV, conferences will only ignore geographic issues up to a point. The Big 12 has already expanded eastward to West Virginia, so extending the league footprint further east with UConn and/or Temple as options is at least on the table. Likewise, the Big 12 was once in the Rocky Mountain region when Colorado was in the conference and they would like to be in it again (hence the interest in BYU, Colorado State and Air Force). However, the thought of expanding the lague all the way to the West Coast with a school like San Diego State really pushed the limits of practicality. There’s bad geography in conference realignment (e.g. Nebraska to Rutgers), and then there’s BAD GEOGRAPHY (e.g. West Virginia to San Diego State). 4. Confidentiality Does NOT Matter – In recent conference realignment history, there has been quite a bit of laughable subterfuge and public media denials of what was actually occurring behind the scenes up until actual expansion announcements were made. Recall Big Ten commissioner Jim Delany stating back in 2010 that he would give a conference that he wanted to poach from a lot of notice… and that “notice” consisted of calling the Big 12 a few hours before he was going to hold a press conference that the Big Ten was adding Nebraska. The subsequent additions of Maryland and Rutgers by the Big Ten came out of nowhere timing-wise. The SEC would continuously deny that they were even looking at expansion despite reports galore that Texas A&M and then Missouri were ready to join. The Pac-12’s attempt at creating a new Pac-16 conference with Texas, Oklahoma and other Big 12 schools ended up getting exposed to the public, but even to this day, Pac-12 commissioner Larry Scott won’t provide details of how close they were to sealing the deal. The ACC has a well-established track record of making conference expansion decisions with very few leaks. By comparison, the current Big 12 expansion process is a veritable fire hose of open quotes and comments. Candidate schools haven’t even tried to hide the fact that they are applying to the Big 12 and, in many cases, are openly going on the record about the application process. At the same time, while conference realignment observers could reasonably guess who was being considered by the Big Ten, SEC and ACC in recent expansion discussions, there hasn’t been the direct and specific confirmation from conference offices about candidates in the way that we see with the Big 12 now. I can’t imagine the type of confirmed information that’s already out there about the Big 12’s expansion moves ever leaking out of the Big Ten or SEC. Mike DeCourcy of The Sporting News notes how crass the Big 12 process has been up to this point. As always, we’ll keep an eye out for the latest conference realignment news. Until then, enjoy the start of the football season! Conference realignment at the power conference level has seemingly ground to a halt after what has been nearly four years of rumors, Tweets and blogs speculating on apocalyptic moves. When I created the Big Ten Expansion Index, there seemed to be endless possibilities of how the college sports world would shake out. Now, tools such as grant of rights agreements have at least temporarily paused any realignment within the power conference ranks. However, there’s still a nagging feeling that the 10-member Big 12 won’t stay at its current size. While any belief that some outside force would demand that the Big 12 expand (i.e. the SEC or other power conferences in the new playoff system) should be discredited as completely erroneous (as every conference wants to respect each others’ full autonomy in determining its membership levels), the practical reality is that the Big 12 is the odd duck in a world where other conferences are seeking size and depth in terms of brand names and TV markets while adding conference championship games (as opposed to eliminating them). Just as there will continue to be speculation about the Big Ten expanding to 16 members until it actually does so (particularly with comments such as the recent ones in Inside the Hall from Indiana Athletic Director Fred Glass calling 16 schools a “sweet spot”), the Big 12 is going to face the same questions until it gets back up to 12 schools. With the peripheral rumor mongering noise dying down for the most part, I though it would be a good time to take a step back and create The Big 12 Expansion Index to assess where the viable candidates for that conference stand. To be clear, the purpose of this post is not to endorse the expansion of the Big 12. It’s perfectly reasonable for a Big 12 partisan to see the realistic expansion candidates as the equivalent of looking at a bar full of butterfaces at 3 am while “Closing Time” is playing in the background and saying, “No thanks. Call a cab for me to get the hell out of here.” Personally, I believe that the Big 12 needs to expand in the long-term regardless of any short-term revenue splitting implications, but this analysis can just as easily serve as justification for the conference to not get larger. ASSUMPTION #1 – Think like a university president and NOT like a sports fan. This was the most important rule when constructing the Big Ten Expansion Index and it continues here with the Big 12. Conference realignment decisions aren’t driven by which school is most highly ranked in the latest BCS standings, who the fans like, or even what coaches and athletic directors may want (no matter how powerful they might be at their respective schools). Instead, university presidents are the ones that ultimately make realignment decisions and they’re looking at the long-term off-the-field big picture much more than short-term on-the-field issues that fans are generally focused upon. To be sure, how well a school plays football (and to a much lesser extent, basketball) is certainly relevant, but TV markets, demographic changes and academic rankings are factors that really get university presidents get much more engaged. ASSUMPTION #2 – The Big 12 lacks the ability to raid another power conference. A number of Big 12 partisans wanted to believe over the past year that the league would be able to poach high profile schools from the ACC such as Florida State and Clemson. However, that prospect was simply never realistic due to a number of issues that the Big 12 needs to address, namely the demographics of the league outside of the state of Texas (which will be explained further in the index criteria below), overall academic reputation and national football brand names beyond Texas and Oklahoma. The Big 12 was able to save itself due to Texas wanting the Longhorn Network over the creation of the Pac-16 and Fox and ESPN paying a lot of money to keep the league together, but it is a paper tiger when it comes to expansion. As a result, the schools being evaluated in the index are all from the “Group of Five” non-power conference ranks. Football Brand Value (30 points) – As it was with the Big Ten, this is the most heavily weighted category as a reflection of the reality of the college sports landscape. The revenue generated from football is so massive in comparison to the other sports (including basketball) that it is the ultimate driver for expansion in every conference (including more historically basketball-focused ones such as the ACC). It must be emphasized that Football Brand Value puts much more weight on the long-term history and financial underpinnings of a program over short-term or recent success. Thus, Team A that has sold out stadiums for years whether it wins or loses is much more valuable than Team B that only sells out a 40,000-seat stadium when it’s in the national championship race, even if Team A has had a mediocre seasons recently and Team B happens to rank in the top 25 of the BCS rankings this year. A lengthy tradition of playing football at the top level also carries more cache compared to being a noveau riche program. The “What have you done for me lately?” attitude of most sports fans doesn’t apply here. Instead, the proper question is the opposite: Even if the target school goes 0-12 in a season, will it still attract TV viewers and attendance? In other words, the true value of a football program is really measured by how much attention it still receives when it’s down as opposed to how much attention it gets when it’s up. Granted, it is much more difficult to find schools under this standard at the Group of Five level compared to at the power conferences, which is a large reason why those Group of Five schools aren’t in power conferences in the first place as of now. National TV Value (15 points) – The calculation for TV values is a bit different for the Big 12 compared to the Big Ten. With the latter’s Big Ten Network, there was more of an emphasis on the value that schools would bring to that channel (which meant it was fairly large market-focused, albeit the Big Ten still ended up small market Nebraska first when all was said and done because of its extraordinary national TV value). The Big 12, though, is more concerned with the value of its national TV contract above all else since the league doesn’t have a conference network (and in fact, grants third tier TV rights to its individual members who then keep all of that revenue to themselves). Losing Nebraska was a major hit on that front and it led to the Big 12’s decision to add West Virginia instead of Louisville in 2011. As with the Football Brand Value category, there is much more weight on programs with longer histories of being national TV draws as opposed to the flavors of the moment. The issue with Big 12 expansion, of course, is that there are really only a handful of Group of Five schools that have any national TV value at all with respect to football. Local TV Value (10 points) – While national TV value is more important to the Big 12 with respect to expansion candidates, there’s certainly still an interest for the Big 12 to expand to new TV markets (as the national TV contract can be impacted by local TV market coverage). The defections from the Big 12 over the past 4 years caused the conference to lose its only two top 25 TV markets that were located outside of the state of Texas (Denver and St. Louis). For this category, 10 points will be granted to a top 25 market, 7 points to a 26-50 market, 3 point to a 51-75 market, and then 0 points after that. Please note that any school that is already located in a Big 12 market will receive zero points in this category no matter how large its local market might be. Demographics/Recruiting Value (20 points) – This was a category that wasn’t included in The Big Ten Expansion Index, but it would have been if I knew then that Jim Delany was going to use the word “demographics” in conjunction with expansion more than any other word over the past 4 years. While there’s some correlation between demographics and local TV value (as a larger market generally means more favorable demographics), the word “demographics” is really a code word for a very tangible concern for football fans and coaches: football recruits. It always irks me whenever I see comments to the effect that the Big Ten’s additions of Rutgers and Maryland didn’t do anything for the conference in football. Quite to the contrary, that expansion was very important for on-the-field matters because New Jersey and Maryland, according to a study by Football Study Hall, happened to be the top two non-Sun Belt states not already in the Big Ten footprint in terms of producing Division I football recruits (and it wasn’t even close). The very real danger for the Big 12 compared to the other power conferences is that its coverage in the state of Texas (which is the nation’s top football recruiting state and a beast in terms of population growth) has masked its completely poor demographics in the rest of the conference. There’s no demographic depth at all in the conference once you get beyond the Lone Star State, which has come so close to collapse on multiple occasions over the past few years. Without Texas, the Big 12 dies (whereas each of the other power conferences might be severely wounded if their very top brand name school left, but they would likely still find a way to carry on since they have fuller slates of markets and populous states). In this category, 20 points go to any school in a state that is in the top 5 of Division I recruits annually under the Football Study Hall study (as there’s a huge gap between #5 and #6), 15 points go to any school in a state ranked 6 to 10, 10 points go to any school in a state ranked 11 to 20, 5 points go to any school in any other state that produces at least 20 Division I recruits per year, and 0 points for states under 20. As noted by Football Study Hall, the states that have 20 or more Division I recruits per year have produced 93% of all Division I football players since 2008, so any state under 20 isn’t helping the Big 12’s demographic cause. As with the Local TV Value category, any school that is already located in a Big 12 state will receive zero points in this category. Academics (5 points) – The Big 12 would certainly like to add top tier academic schools, but it won’t necessarily nix any expansion candidate on those grounds. This is in contrast to the Big Ten, where the Academics category was weighted heavily enough to effectively exclude any school that didn’t meet the threshold as being a viable candidate. For the purposes of the Big 12, 5 points will be assigned to any school that has at least 2 of the following 3 qualifications: an AAU member, ranked in the top 100 of the US News undergraduate rankings and/or ranked in the top 300 of the ARWU world graduate school rankings. A school that has 1 of those qualifications will receive 3 points. Everyone else will receive zero (as the Big 12 would likely only be swayed by truly exceptional academic reputations). Basketball Value (5 points) – As I stated in the Big Ten Expansion Index post, personally, there’s nothing that would make me more delirious as a sports fan than Illinois winning the national championship in basketball. However, when it comes to conference expansion discussions, basketball has been even less of a consideration than I originally thought 4 years ago. This is too bad since there is a whole slew of excellent or even elite basketball programs available in the Group of Five (much more so than football programs). That being said, if all things are relatively equal in the other categories, then basketball considerations could be the tipping point. An elite program and/or fan base will receive 5 points and a solid program and/or school with a fair amount of tradition will get 3 points. Geographic Fit/Need (5 points) – Normally, this is a category that is based on pure geographic proximity. However, the Big 12 also has a geographic need to bridge the distance gap between West Virginia and the rest of the conference. As a result, schools in states that are located within that gap along with other states immediately adjacent to the current Big 12 footprint will receive 5 points, while everyone else will receive zero. This is an all-or-nothing category – either a school meets the geographic need or it doesn’t. Tremendous Upside Potential/Monopoly Power (10 points) – This is a category that wasn’t considered for the Big Ten since it was really looking for established old money schools. In the Big 12’s case, though, its realistic expansion candidates almost all have warts of some nature. In fact, there are quite a few candidates that would be looked at in an entirely different light in a positive way if they were merely competent in on-the-field football performance (much less being powers). As a result, much like an unpolished prospect with a lot of athleticism in the NFL or NBA draft, the upside potential of a school should be taken into consideration by the Big 12. This is especially true for a school that could potentially have “monopoly power” of being the only power conference program in its home state. Other factors include whether a school is a flagship or academically elite, has a proven basketball fan base, or has made a lot of recent investments in football facilities. The candidates are listed in reverse order from least desirable to most desirable. Once again, for the purposes of this evaluation, it is assumed that the only viable Big 12 expansion candidates are not currently power conference members and the calculations are based upon comparisons only to other schools within that non-power conference school group. Overview: Fantastic academic institution with a lot of history with the former Southwestern Conference teams in the Big 12, but the lack of a new market or recruiting area is a killer for its candidacy. It would take some massive on-the-field accomplishments (i.e. winning the Group of Five bid to a top bowl in the new College Football Playoff system multiple times) for Rice to move up here. Overview: The Runnin’ Rebels score low right now due to a horrid stretch of on-the-field football performances over the past several years, but they’re a program to watch if it can get a new state-of-the-art football stadium into place. This is a school that provides the highest profile sports teams in the Las Vegas market with a strong basketball fan base, so their value skyrockets if they can avoid complete ineptitude in football. Overview: It’s a mystery why Colorado State doesn’t ever seem to be able to get its act together on-the-field. On paper, this is an institution that ought to be attractive to a power conference with its solid academics and location in fast growing and demographically desirable Colorado, yet their putrid football performances over the past decade have nixed them from any type of consideration. CSU, like UNLV, is looking to build a new football stadium to increase its chances to move up in the athletic world. Overview: The issue with SMU (and any other Texas-based school) is that they’re not bringing any new TV markets or recruiting areas that the Big 12 doesn’t already have blanketed. Now, that isn’t an automatic disqualifier for a Big 12 candidacy (see the addition of TCU in 2011), but it would likely take perfect scores in the Football Brand Value and National TV Value categories to make that happen. Overview: New Mexico is in a very similar situation to UNLV with an excellent basketball program and fan base with potential monopoly power in its home market… but its on-the-field football product has been unacceptably terrible for a long period of time. The Lobos actually have a leg up on UNLV in terms of academics and being a geographic fit with the Big 12, so they’re a school that can rise rapidly in the pecking order with merely some football competence (much less prowess). Overview: See the comments about SMU, only Houston has more basketball tradition. There is also the wild card that the Big 12 may want a physical presence in the Houston market in the same way that TCU is located in the Dallas-Fort Worth market, but the Cougars would still need to have some overwhelmingly extraordinary football success for this to be a possibility. Overview: Memphis is essentially an Eastern mirror of UNLV: large urban basketball school with historically terrible football over the past decade. The advantage that Memphis has by comparison is that it’s located in a rich football recruiting area and aids in bridging the geographic gap between West Virginia and the rest of the Big 12. Memphis has shown that they have excellent basketball fans – if they can get that to translate to football, they have quite a bit of upside. The main drag is being the midst of heavy SEC competition. Overview: From a national TV contract standpoint, Boise State might be the single most valuable school that is outside of the power conferences as of today. The question that university presidents will always ask, though, is, “How long will this last?” As you can see, Boise State doesn’t bring anything else in terms of demographics, academics, basketball or geography. This is a school whose attributes are purely based upon on-the-field football performance, which is actually exactly what university presidents tend to shy away from since such success is difficult to maintain even when a program has all of the financial resources in the world (see Texas and USC right now and Alabama prior to Nick Saban coming in). There might be a point where Boise State becomes the Gang of Five equivalent of Nebraska where markets and demographics become completely irrelevant with having such a strong football brand, but we aren’t there yet. Overview: This is an interesting potential play for the Big 12 by going directly east of West Virginia. The good news is that Philadelphia is a massive market with access to an excellent football recruiting state*. The bad news is that Philly is a tepid college football market (and those that follow college football there tend to follow the king program of Penn State) and there’s a sense that Temple won’t ever develop into much more than what is now (which isn’t satisfactory for the Big 12). The school has had plenty of chances to become a legit power program and never succeeded. Overview: In a vacuum, UConn is arguably the most power conference-like school that isn’t in a power conference today. If this were an ACC Expansion Index, then UConn would be close to a perfect score. Frankly, there’s still a part of me that’s surprised that UConn isn’t in the ACC already, but I perfectly understand why Louisville got the nod last year. The problem with the prospect of UConn going to the Big 12 is that it’s not a good fit for what the conference is seeking in expansion. UConn has actually performed aptly in football over the past decade outside of the last couple of years, yet the New England region is a black hole when it comes for football recruiting (particularly considering how it’s a high population area) and the school’s men’s and women’s basketball prowess probably has the least value to the Big 12 out of any of the power conferences (as hoops mainly benefit conferences that either have networks like the Big Ten has or strong basketball syndication deals like the ACC). Now, UConn’s Big East pedigree and relatively strong brand name means that the school has a large amount of upside, but it may not matter to the Big 12 with Connecticut being so far geographically from the conference’s core. Overview: Tulane has been in the on-the-field football doldrums since Hurricane Katrina hit New Orleans, but the Green Wave might be resuscitating itself at just the right time. The school is building a brand new right-sized on-campus stadium and the football team is bowl eligible this season. Tulane’s academics are arguably the best of any school in the Group of Five besides Rice and the state of Louisiana is one of the best pound-for-pound football recruiting areas in the country. Honestly, out of all of the schools on this list, Tulane has the best chance out of anyone to realize its Tremendous Upside Potential and moving up to the top. Overview: The allure of USF is purely about a demographic play – athletic directors and coaches fall all over themselves over the thought of combining the recruiting territories of Texas and Florida. (Note that this is a bigger reason for any fan of a school that’s not in the SEC to be scared of how successful that league can integrate Texas A&M.) USF has shown some flashes of football ability, but it’s been inconsistent. There is also extremely heavy power conference competition within the state of Florida (with Florida, Florida State and Miami gobbling up market shares), so there’s a limit to how large of a fan base that USF can realistically build. Overview: UCF has the exact same overview as USF above (just switch USF with UCF) except that UCF has a bit more upside as (a) being one of the largest schools by enrollment in the country and (b) having fresh chances to perform at higher levels of college football (whereas we’ve already seen what USF was and wasn’t able to do in the old Big East). Overview: San Diego State has similar attributes as UCF and USF on the opposite coast when it comes to football, but the Aztecs have the advantage when it comes to basketball value and the fact that it is the primary Division I sports school in the San Diego market. While Florida and Florida State have statewide fan bases in the Sunshine State, California is much more fragmented by market, which means that SDSU has more potential to “deliver” its home market despite the on-paper proximity of UCLA and USC compared to the AAC’s Florida schools. Overview: BYU has strong enough of a national brand to garner an independent TV contrac with ESPN, a massive worldwide fan base, its own TV network and a solid football tradition. My criteria for demographics and academics likely undercount the true value of BYU, as its relevant demographics are really related to the world’s Mormon population and it has top tier undergraduate academics. Boise State might have the best record of recent on-the-field achievements out of any non-power conference school, but BYU is the one institution at this level that legitimately looks, feels and acts like a power conference program. Overview: I’ve been mentioning Cincinnati as a strong Big 12 expansion candidate for awhile, but it wasn’t until constructing this index did I see how the school really does hit virtually every metric that the conference should be seeking. Among the Group of Five schools, its Football Brand Value is strong with multiple BCS bowl appearances and consistent performances over the past several years despite a number of coaching changes. The state of Ohio is a football recruiting powerhouse with only one in-state power conference competitor (albeit a massive one in the form of Ohio State). The school’s academics are solid, it has a great basketball history and its location is in a major market with probably the best geographic bridge to West Virginia of any viable candidate. The only question with Cincinnati is whether it can really perform any better on-the-field that it already has in football during the past few years. Still, that’s a minor issue compared to how the school has created a consistently competitive football program. So, if the Big 12 were to expand today, it’s clear that Cincinnati and BYU have a huge gap over the rest of the field. Whether that type of expansion would be compelling enough to the Big 12 to make a move at all is still an open question.